One of The Best Tour Package in Nepal. Nepal Natural Holiday Tour is specially designed for tourists with a desire to be acquainted with the very soul of the country. 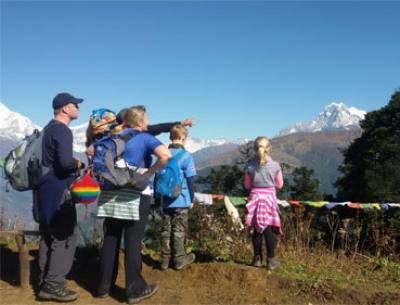 Nepal Natural Holiday Tour has been attracting thousands of tourists each year as this tour is a perfect blend of amazing places with remarkable landscapes and diverse culture that make up the gem os Nepal. This 11 days tour takes you on a pleasant journey of exploration of abundant history and nature, offering travelers a chance to witness Nepal like never before. Nepal Natural Holiday Tour package is one of the Best Tour in Nepal Specially Kathmandu, Chitwan, Lumbini, and Pokhara Tour Package, let you have a wildlife safari, cultural including Royal Bengal tigers, deer, leopards and so on. Nepal Natural holiday our package gives you an all-in-all experience of the joyous diversity of the country. One of the many specialties of this tour package is that it covers all the chief areas that are worth exploring in a short period of time best Tour in Nepal. The tour starts from the bustling city of Kathmandu which is rich in history and architecture, carrying a valuable essence of the medieval era. A side trip to Nagarkot offers amazing sunrise and sunset views over the Himalayan ranges. Nepal Natural Holiday Tour also takes travelers into the tropical forest of Chitwan, where they are introduced to the authentic beauty of Mother Nature which one cannot find in Kathmandu. Chitwan National Park consists of various wildlife including endangered one-horned rhinos, Royal Bengal tigers, deer, leopards, and numerous species of birds. Pokhara is also one of the most popular tourist destinations in Nepal where paradise truly resides in the beautiful sunrise in Sarangkot and the glittering Phewa Lake. The tour also reaches Bandipur, where the traditional Newari houses are neatly lined in both sides of the alleys. All in all, Nepal Natural Holiday Tour is a once in a lifetime opportunity which requires nothing more than just a little enthusiasm for nature and also the country’s historical and cultural values. We, Reasonable Treks And Tour, aim to offer a variety of packages which are custom made and assure the feasibility and comfort of our clients. Our skilled tour guides and staffs make sure that our beloved customers do not miss out on a single aspect of the trip. We prioritize the safety of our clients, and therefore we assure a quality service and pre-planned programs. We offer you a trip of your dreams with utmost sincerity and dedication. Visit UNESCO World Heritage site; DarbarSquare, Boudhanath Stupa, Pashupatinath temple, Syambhunatha, Hanumandhoka, and so on. Explore the National Park and rare and endanger flora and fauna. Remarkable Mountains view; Annapurna, Dhaulagiri, Machhapuchre, and so on. 1Arrive in Kathmandu via respective airlines and transfer to hotel. As you land in Tribhuvan International Airport, Kathmandu, one of our representatives will be attentively waiting to receive you. From here, you will be transferred to your hotel. Overnight at a 3-star hotel in Kathmandu. 2In Kathmandu Sightseeing tour at places of interest.After a healthy breakfast, you begin your short tour in Kathmandu, starting with one of the most popular and worshipped destinations in Nepal, Pashupatinath Temple. 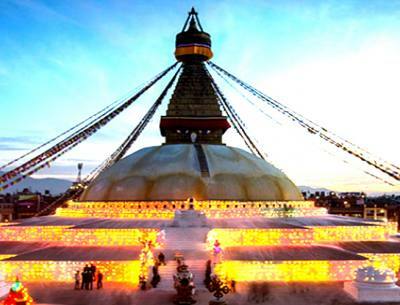 Furthermore, you visit Boudhanath Stupa and Swayambhunath Stupa that holds utmost value among the Buddhist community. You later explore Kathmandu Durbar Square and visit the temples and shops in its premises. Overnight at the hotel. 3Kathmandu Sight Seeing Patan Durbar Square, Bhaktapur Durbar Square and drive to NagarkotYou start your endeavor of exploring Patan Durbar Square and Bhaktapur Durbar Square. You get to explore the Newari architecture and learn about the history of Nepal in Patan Durbar Square. The royal palaces are the main attraction in the area. Bhaktapur Durbar Square again enlightens you about the diverse cultural belief and values of the ancient Newari city. You then head east towards Nagarkot, which gives you a panoramic view of the mountains including Langtang Lirung (7227m), Annapurna II (7937m), Cho Oyu (8188m), and Ganesh Himal range. You will enjoy the best sunset view from the hilltop in Nagarkot. Overnight in Nagarkot. 4Morning sunrise Views and Drive to Chitwan and transfer to your hotel.Witnessing the early morning sunrise view over the stunning Himalayas on the horizon from the top of Nagarkot feels surreal. After soaking in the true beauty of nature, you head towards Chitwan. You witness changes in the vegetation along the scenic drive to Chitwan. Enjoying the beautiful farmlands and small Tharu villages, you reach your hotel in Chitwan. Overnight in Chitwan. 5Full day Jungle and wild safari with elephant ride, jeep drive and walks.In the morning, you head out for a jungle safari in an open-roofed jeep. The slow ride through the jungle allows you to spot wild animals like one-horned rhino, Bengal tiger, deer, and so on. You can go for a jungle walk through the dense forest of Chitwan National Park or for a refreshing elephant bath. Canoeing is the ideal activity to enjoy the view of Gharial basking on the banks of Rapti River. In the evening, you can go around the Tharu village and get to learn about their culture and tradition, and later enjoy the cultural dance that they perform in the evening. Overnight in Chitwan. 6Drive to Lumbini near Buddha's birthplace.You drive through the southern plains and make your way towards the renowned Lumbini, the birthplace of Gautama Buddha. Lumbini acquaints you with the life of Siddhartha Gautam, before he became Buddha, as you walk through the sacred garden and explore the Maya Devi Temple and Ashok Pillar. In Lumbini, different countries have built their own monasteries around the area. Witnessing different types of monasteries in one place is amusing. Overnight in Lumbini. 7Drive to Pokhara and transfer to your hotel by the Phewa Lake.A morning scenic drive from Lumbini takes you to Pokhara, one of the most popular tourist destinations in Nepal. Resting at a few tea shops in between, you reach Pokhara in about 5 to 6 hours. After checking in at the hotel, you can stroll around Lakeside and enjoy the ambiance of the place. Overnight in Pokhara. 8Morning drive to Sarangkot for sunrise, afternoon tour of Pokhara.You wake up early in the morning and get yourself ready for a drive to Sarangkot. From Sarangkot you witness an outstanding view of the sunrise over the magical snowcapped Annapurna and Dhaulagiri ranges. After admiring the beauty of the sun-kissed mountains, you head back to Pokhara and enjoy the afternoon sightseeing places like Davis Falls, Gupteshwor Cave, Bindyabasini temple, and the Seti River Gorge. Also, an interesting activity in Pokhara is boating in Phewa Lake passing the small Island where Temple Barahi is situated. Overnight in Pokhara. 9Drive to Bandipur and transfer to local home-stay huts/cottage.Leaving the Lake City, you head towards Bandipur, which is a small village situated in Tanahu district. The main attraction for tourists here is the adorable home-stay huts which give travelers a chance to interact with the locals and also explore the area around the Bazaar, which is high-spirited. The sunset and sunrise over the Ganesh Himal range visible from Bandipur are to die for. Bandipur is the living museum of Newari culture which is preserved so amazingly, and the 18th-century architecture along with the cafes and traditional row houses give you a European feel. After roaming around, you stay in Bandipur Home-stay where you can interact with the locals and enjoy the local Newari local food. Overnight in Bandipur. 10Drive back to Kathmandu with the free afternoon at leisure.You enjoy your drive back to Kathmandu admiring the rolling hills that follow you throughout the drive. After a long drive from Bandipur to Kathmandu, have some rest in the hotel, and in the evening, you can enjoy the live music in the restaurant of Thamel. Overnight at the hotel in Kathmandu. 11International departure homeward boundYour wonderful Nepal Natural Holiday Tour ends today. One of our representatives sees you off at the airport with a hope to see you again soon. farewell dinner in a typical Nepali Restaurant with the cultural dance show. sightseeing tour in Kathmandu including taxes and entrance fees. Personal expenses (phone calls, laundry, bar bills) . Tips for Guide(s) and driver(S). I and my friends have visited Nepal recently. We had 11 days Nepal Natural Holiday Tour packages and our journey started from Kathmandu. I had not expected such a wealth of history and monumental sights. Kathmandu Durbar Square, Patan Durbar square, Syambhunath, Pashupatinath, Bouddhanath are amazing (they are all UNESCO world heritage sites). Chitwan National park, one of the most amazing road trips seeing beautiful plain Terai. Walking through the Jungle safari, elephant riding, spotting animals we saw various birds, crocodiles, and even a rhino! Lumbini the birthplace of Gautam Budhha: Peacemaker had achieved enlightenment and became Buddha and founded Buddhism. Well known as" The light of Asia". The peaceful environment and old architecture is blissful. Pokhara has its own natural beauty. Seeing the Himalaya Mountains was very special and beautiful and breath-taking. It is fascinating that you can travel from the hot, flat jungle with amazing wildlife to towns with palaces and loads of cultural sites or to snow-covered, cool mountains. That serene and exotic culture, all warm welcoming people made the tour heavenly on earth. My guide was perfect and a sensitive host I felt like a little family at the end. 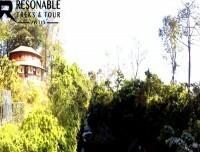 Thanks, Reasonable treks for making one of the best tours ever. Big recommendation to anyone who likes to have a holiday tour in Nepal. We Visit Nepal Natural Holiday Tour With Reasonable Treks And Tour/Anil Dhungana provided our Trip he’s is Very helpful and professional assistance in planning for Nepal Holiday Tour, he’s is Organization for 11 Days Nepal Natural Holiday Tour, Mr. Anil, He is Recommendation Tour Guide Sujan Bhatta We take a lot of photo during The tour times We did it Wonderful and amazing experience to reach the Nepal Natural Holiday Tour, guide Sujan Bhatta he gives to everything information details on the way I Show village and mountain. Really enjoyed the Nepal Natural Holiday Tour in Nepal, Thanks to our Guide Sujan Bhatta we want to highly recommend this company and staff for other travelers. Thank you so much, Mr. Anil, we really happy for your Trip. We will back Next Time!! Reasonable Treks And Tour/ Anil Dhungana provided me Very helpful and professional assistance in planning my Tour he’s is Organization for 11 Days Nepal Naturel Holiday Tour, Mr. Anil He is Recommendation Tour Guide he’s the Tour guide he gives to everything information details on the way I Show village and mountain. Really enjoyed the Tour in Nepal I want to highly recommend this company and staff for other travelers. Thank you so much, Mr. Anil, .i am really happy for your Trip. We will back Next Time!! If you are a traveling fanatic, Nepal must be on your bucket list. Nepal is a land filled with rich natural and cultural diversity. Thousands of travelers visit Nepal Natural Holiday Tour every year to tour around the laps of the Himalayas and experience the cultural heritage of Nepal. The rugged topography, gorgeous valleys, and lush subtropical forests serve as a great place to quench your thirst for adventure. Likewise, tours of culturally, historically and religiously acclaimed sites are also a major travel option. 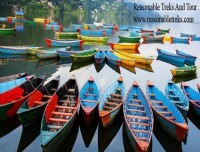 They offer a different perspective on the abundance of travel destinations in Nepal. The possibilities for tourism never end in Nepal, thus you must visit this beautiful place at least once in your life. You will find plenty of hotels and lodges in the urban part of Nepal. You can select from a range of prices and available services. 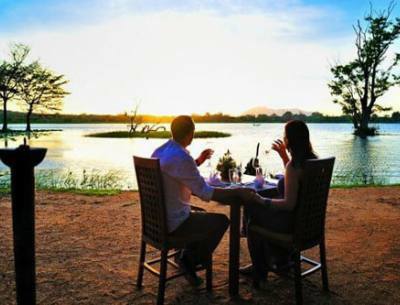 You can be assured on getting proper accommodation on your preferred tour packages. The availability of services decreases as you travel to the rural areas of Nepal. You will come across small tea houses and lodges while you are traveling in the rural areas. These hotels/lodges provide you with adequate services for food, water, and comfortable rooms. While you are in the urban areas, you will not have difficulty traveling. There will be a sufficient number of cabs, public buses or you can easily hire a vehicle. Usually, you are taken around by the tourist bus provided by the hotel if you have signed up for a package. Or you can take a map of the city and travel around by yourself. However, the availability of transportation services decreases as you exit the urban areas. To reach wherever you want, it is best to hire a private vehicle. Excluding all the international cuisines, you will find a variety of food items in Nepal. The various cultures have different food items to offer. Since not every kind of crops grows in all geographic regions every ethnic group has a different style of meal. This makes food a special aspect of Nepal. While you are in the urban areas you can try out almost all the cultural delicacies which you can find in different restaurants. In rural areas, you may not get the fanciest meals. The most popular meals you can get are DalBhat set, soups, momos, noodles etc. Each region may have its own special food to offer. Make sure you try them! Proper clothing: fleece jackets, undergarments, trousers, and socks. Gears: hats, beanies, comfortable shoes. Accessories: sunglasses, water bottles, first aid kits, medication tablets toiletries etc. You should have a proper bag that can accommodate all the necessities. If you hire a porter, you can add another bag under the weight limit for your porter to carry. However, tours are generally short and do not necessarily require the need to hire a porter. You may need a guide to help you get around the places in Nepal. They did not just show you the way, they also explain to you the history and meaning of each and every place they take you. During tours, it is completely up to you to hire guides. But it highly recommended that you hire at least a guide. They can help you coordinate with hotels and be a good companion for your tour. The number of guides depends on the size of the group. During tours, you need not to require porters but having a guide is worth it. You will not have any problems regarding electricity and internet around the cities of Nepal as it is now improved and easily available. The tour packages will not be involving trips to remote areas so you can be fairly assured about using the internet and electricity. However, when you travel to rural areas, electricity and internet service availability decreases. Thus, it is advised to take a power bank so you have a backup. Your common Nepalese sim will be able to give you the phone call and internet services at many places, but when they are not working you can use a sky network sim. You can tour the cities of Nepal alone if you wish. On tours, you can roam with a map and request help with the locals if needed. Nepalese have a naturally charming aura about them and offer any viable help upon request. However, if you plan on going on treks, you will have to choose your group wisely. Your group size depends on your preference. Camping trips require you to travel with a definite team of experienced guides, cooks, and porters. 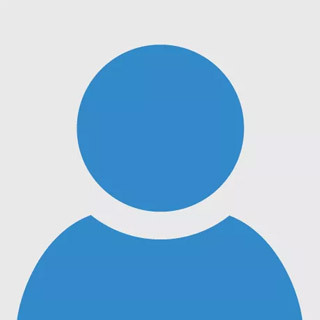 You may also trek alone, given that you have all the necessary travel permits and you are responsible for any events that occur in your trip. You will be able to find hospitals with proper medical facilities in the urban areas. These hospitals are capable of handling complicated medical situations but in case you need further attention, you will be referred to even better ones. So, you don’t need to worry about such issues when you tour around cities. However, when you go exploring the rural regions, you will hardly see any hospitals. There will be a few medical clinics and shops that will offer you some medications and small degree treatments. Therefore we recommend that you bring some common medications that you would generally use for headaches, flu, stomach problems, etc. Reaching Nepal through international airlines is no hassle, but you will have a hard time traveling by the domestic airlines in Nepal. Mainly due to the unpredictable weather changes, you will face flight delays and cancellations. This can adversely affect your trekking or touring schedule. Therefore, it is best to schedule domestic flights a day or two before the date you want to reach the destination. Reaching earlier will not be as harmful as reaching late. The next alternative is to travel by road. You will not face delays as you do with domestic airlines and you can travel at drastically lower prices. These services are managed by your travel agency but you are required to pay the additional amount yourself and are not included in the initial tour cost package. There isn't necessarily a season that is considered the worst to visit Nepal, however, there is a best one and it's the autumn season. This is the period of time between the months of October and early December. As the monsoon season ends around September, the weather clears up and you get the best views possible. There are no weather disturbances like rain and the temperature is suitable for all types of trips. The trails are dry which drastically reduces the dangers one might face while walking. If you want to tour around cities and villages, it is best to come during the festive times. You can take part in the cultural celebrations and get a taste of Nepalese tradition. Travelling is filled with fun and adventures but it is also filled with unexpected disturbances. You never know what can go wrong. Therefore, it is vital to get your travel insurance before leaving for any place. Your insurance will cover your medical fees, flight cancellation fees, lost luggage compensations and many more. In addition to travel insurance, if you plan on traveling at high altitudes, you must make sure your insurance covers high altitude trips. If necessary, there are services including immediate evacuation by helicopter and rescue teams carrying you back to safety. Rescue services are extremely expensive, therefore make sure you have insurance. You can book your tours and trekking dates online at various sites. You can also find plenty of travel agencies in Nepal that can offer you various travel packages at decent prices. You can schedule a trek or ask the agency for the best dates. To sign up for a trek you must comply with the terms and agreements set by the agency. All required documents such as passports, visas, etc. must be submitted. Most of the travel agencies will ask you for an advanced payment. If in any case, you decide to cancel your plans, you can contact the agency and do so. You will be charged for cancellation, the amount will be declared on the terms you agreed before signing up for the tour. Meals: Only Breakfast in Kathmandu, Nagarkot, Chitwan, Lumbini, Pokhara, And Bandipur.